This is the second in a series of posts presenting my analysis and criticism of a proposed one-way mission to Mars. You can find the introduction here. [W]e are a vulnerable species living in a part of the galaxy where cosmic events such as major asteroid and comet impacts and supernova explosions pose a significant threat to life on Earth, especially to human life. and suggesting that it would offer humanity a "lifeboat" in the event of such mega-catastrophes. 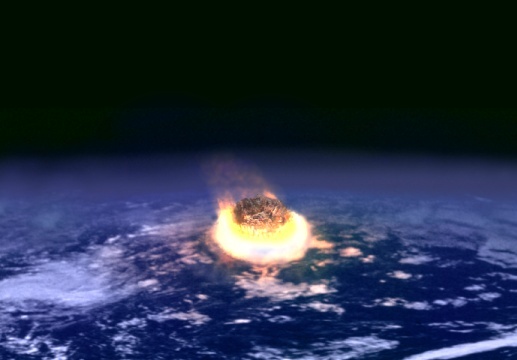 Since recognition in the 1980s that the Cretaceous-Tertiary extinction event 65.5 million years ago that led to the demise of the dinosaurs was likely due to an asteroid impact, humanity - and Hollywood - have been put on notice that such "planet-killing" collisions are statistical possibilities, whose likelihood approaches a near certainty over time, that is without effective intervention. Asteroid deflection, survival on the cheap? Admittedly, having humans living on Mars would mean that some of our species would be safely out of harm's way in the event of such a catastrophe. Their long-term survival, though, would be far from certain. As a matter of prospective cost and potential benefit, the question is not whether a Mars colony, if successful, would guarantee that a few humans would survive for some period of time, since it does, but whether an expedited colonization program compares favorably with alternative approaches for accomplishing a similar or even vastly more desirable result. For example, expanded investment in surveillance efforts - such as NASA's Near Earth Object Program - intended to identify potential collisions, coupled with the development of technologies to deflect space rocks heading our way by finessing their orbits years, if not decades, in advance of a too-close encounter would appear to be a immensely more cost-effective solution, one in which the survival not of 150 isolated souls on a cold, barren planet, but of billions of human beings on a globe teaming with life could be more predictably assured. With regard to an explosion of a nearby supernova, it should first be noted that humans on the surface of Mars may well suffer much the same fate as their counterparts on Earth. To the extent that specially designed subsurface human habitats on Mars would offer a significant amount of protection, then the same could be constructed on Earth and made available to a vastly larger number of people at a mere fraction of the cost of those used for a Mars colony. Indeed the only reliable way to develop, verify and refine the kind of habitats to be used by one-way Martian colonists would be to design, build and inhabit comparable structures here. So, far from representing an additional cost, fully-functioning terrestrial habitats would appear to be a useful, if not a necessary, step in successfully engineering counterparts on Mars. In addition, a permanent underground terrestrial communities manned by a multinational force, composed of volunteers serving staggered, limited-term tours of duty, not only would provide significantly more assurance of our survival as a species in the event of a catastrophe of astrophysical origin, but also would serve to promote exactly the kind of international cooperation that the authors state is one of the desirable side-effects of the effort to colonize the Red Planet. Mars, a disease and discord free zone? Other threats that motivate Schulze-Makuch and Davies include "global pandemics, nuclear or biological warfare, runaway global warming [and] sudden ecological collapse." Mars colonists would be placed at a safe remove from the first two types of these catastrophes, but would nonetheless be subject to the dangers posed by disease as well as to the kinds of political, not to mention interpersonal, discord that could lead to the annihilation of their "civilization" in a matter of minutes. On Mars a jilted lover with a hammer and access to critical life-support systems becomes that planet's Kim Jong Il. As far as large-scale environmental degradation wrought by the likes of devastating climate change goes, it should be noted that even the most dreadful envisioned outcomes here would leave Earth-bound humans with an ecosystem infinitely more hospitable than any that they will ever find on Mars. More generally, the problem with the portrayal of a Martian colony as a putative lifeboat for humanity is that, as a metaphor, it is all too apt. Lifeboats by their nature are transitional places of refuge; they are meant to convey passengers from a situation of rapidly deteriorating safety to one of predictable security; they are not sanctuaries in and of themselves. 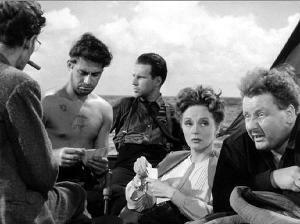 Far from it, lifeboats are risky environments, recommended only by the fact that the certainty of going down with the ship is a far less attractive option. Such would be the case with human presence on Mars, founded imprudently as a falsely desperate one-way mission, a lifeboat continuously in peril and without the glimmer of a hope of ever reaching another shore. One-Way Mission to Mars - Lifeboat for Humanity Fail by Marc Merlin is licensed under a Creative Commons Attribution-NonCommercial-NoDerivs 3.0 Unported License. as I promised, here is me comment on your opinion. I couldn't agree more with your opinion about the 'lifeboat' argument. However, I can't get out of my mind the idea, that maybe somewhere, sometime ago a good-meaning scientist said to a press representative that self sustained human presence and terraformation of Mars would in long term ensure mankind's survival in case of Earth-wide catastrophe. And I believe you know how it is with media, they use just the part with catastrophe, no matter how stupid it sounds. It is one of the long list of problems that needs to be solved before we can even think of building any kind of colony on Mars. Sadly, last experiment I've read of (but I believe it was more than 5 years back) where they tried to build enclosed, self sustaining biome failed after just a couple of weeks. This is one of the reasons I believe space colonization is not nearly advanced enough. Joseph, thanks for another comment on this topic, specifically for your reference to the failed Biosphere 2 project. It really does illustrate how even carefully planned earth-bound projects can go awry. We definitely have a lot more rehearsing to do before we take the show on the road, so to speak. Again, I want to emphasize that this series of posts is in response to current proposals about a one-way mission to Mars. It is not a categorical rejection of the eventual colonization of that planet. Indeed, when the money is available and the engineering is mature, enough so such a project can be undertaken with reasonable risks, then it seems that extending our presence to other worlds will be a natural choice for us to make. Again, my concern here is, "what's the rush?"